The Gelid Zentree - charging multiple devices has never been so easy! 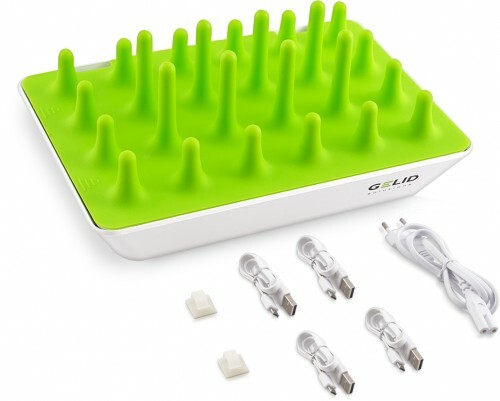 The engineers at GELID Solutions have stepped out of their usual product line-up to create an outstanding mobile device charger. The Zentree features carefully designed top surface with a soft silicone rubber 3-dimensional pin array. The array of pins was specifically crafted to dock multiple devices of varying sizes with ease and convenience. The Zentree also integrates a smart IC chip which automatically negotiates the best charging current and prevents over-charging after battery’s 100% charged. The Zentree is fully compatible to the latest USB charging standards. It provides 4 USB power ports with a current output of 2.4A max per port and a total power output of 48W max. The Zentree also provides a port-specific protection system for the safety of your device which includes surge protection, short-circuit protection and over-temperature protection. And especially, the Zentree is made of selected eco-friendly materials. It is backed with a power-efficient and high grade component circuitry to ensure the best quality you can get. 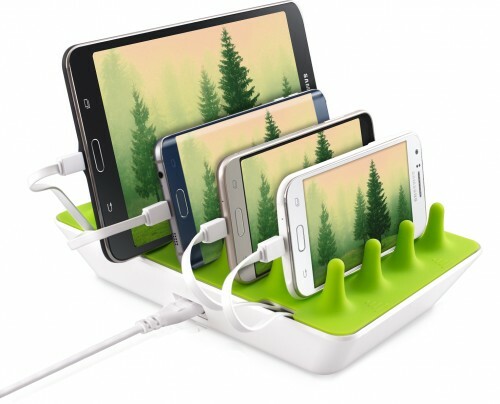 Zentree provides a carefully designed docking surface, 3D Tree Array, which supports multiple gadgets of different sizes: iPhones, iPads, Androids, tablets, phablets, smartwatches, power banks or really any other USB device. The top is made of a soft silicone rubber, it protects your smartphones and tablets from scratches and slip-off. The Smart IC, a core part of Zentree Charger Unit, auto-negotiates the best output charging current for your gadgets and ensures reliable and safe multi-device charging. It also prevents over-charging after battery is 100% charged. Zentree is fully compatible to the latest USB charging standards, it provides 4 USB power ports with per-port charging current output of 2.4A max and total power output of 48W max. And especially, Zentree is made of selected eco-friendly materials, it is backed with a power-efficient and high-grade component circuitry to ensure the best product quality you can get. Zentree is full of freedom for your creativity! It provides a carefully designed docking surface, 3D Tree Array, which supports multiple gadgets of different kinds and sizes. Position of your gadgets can be customised in any way you like. It has been specifically tested with Apple smartphone and tablet devices, varying different Android mobile phones and tablets. Pebble watches, Bluetooth headsets, and even portable power banks. The top skin is made of a soft silicone rubber which protects your devices from bumps and scratches. It also secures your devices to prevent slip-off. You can easily remove and clean the skin. 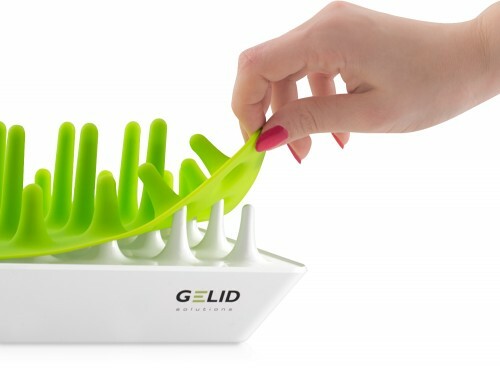 Keep your Zentree fresh and shining! Multiple device charging has never been so easy! You can connect and arrange cables inside the case just in seconds… And here we are! Your devices are now up to reclaim their full power back again! Zentree provides 48W total power output and can charge up to 4 large-screen devices simultaneously, such as Apple iPad Pro. The Smart IC, a core part of Zentree Charger Unit, automatically detects proper current for your devices and manages efficient charging cycles to ensure safe charging and extended battery life.